We Offer Tire Mounting and Balancing Services in Most Stores! The Pirelli Night Dragon GT Rear Tires are 20% longer lasting than standard Night Dragon rear tires. 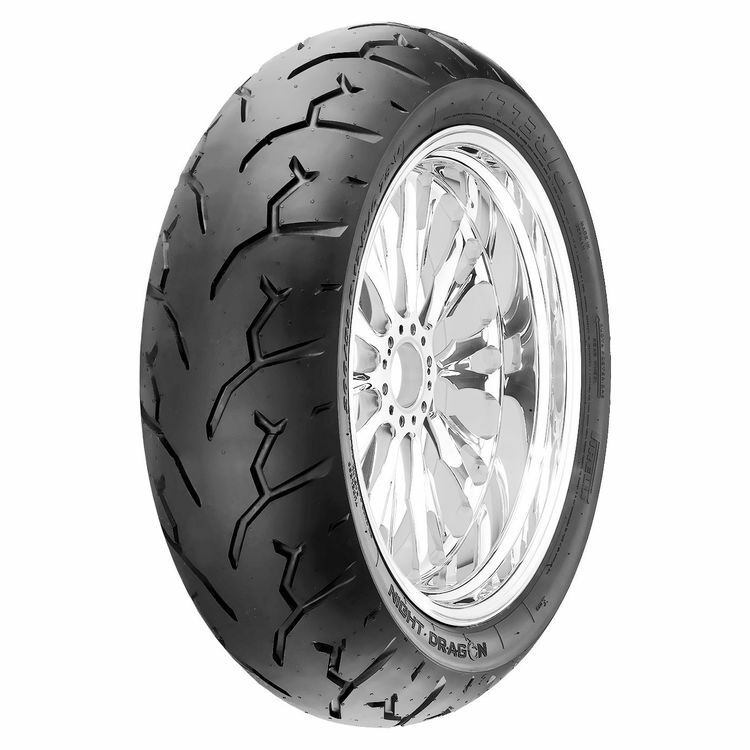 Designed for larger and heavier motorcycles that need tires with excellent grip but also last in high mileage scenarios. Excellent performance and great fun to ride with a good balance between reliability and life of the tire. Special research of the contact patch in order to ensure great stability at high speeds and quick acceleration. Optimized for V-Twin engines with more power and higher torque.